Pilgrimage",* to be held in Aarhus from 15-17 May, 2017. The symposium provides a comparative, cross-disciplinary platform for the discussion of ancient pilgrimage. 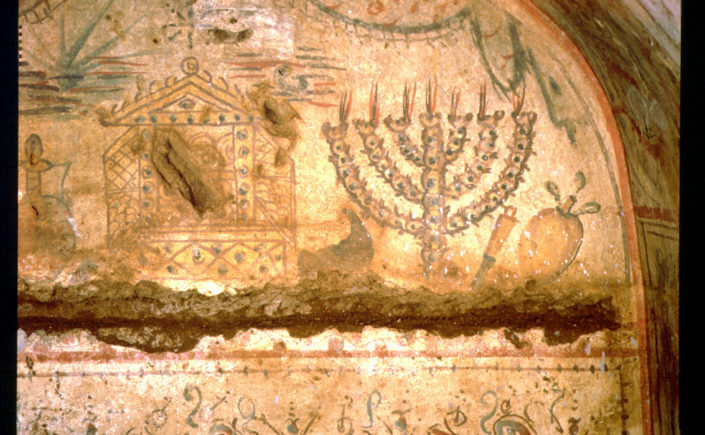 Focus on the act of pilgrimage is reshaping our understanding of the interconnections between the religious traditions of the Mediterranean Basin by linking Jewish pilgrims to the Jerusalem Temple with the theoric interdynamics between major Greek sanctuaries, the power of healing shrines to attract travellers on simultaneously sacred and medically-motivated journeys in Greek, Roman, and other cultural contexts with the explicit 'pilgrimage' traditions of Christian or Muslim holy centres or healing places. compare and contrast 'Classical' traditions of sacred travel (set wide to include continental Europe, the Mediterranean, Near East and North Africa during the first millennium BC-AD) with both earlier and later forms of pilgrimage. By acknowledging the emergence of sacred travel within this long-term trajectory, we get a clearer picture of the phenomenon’s later historical development, including Islamic Hajj, Medieval travel to the Holy Land and contemporary traditions of pilgrimage, as well as discovering what structural, social or experiential similarities and differences can be drawn out. By actively seeking scholarly interactions from different disciplines – prehistoric, Classical and medieval archaeology, human geography, theology and religious studies, history, and literary studies – and with a variety of theoretical perspectives - sociological, phenomenological, economic – the symposium aims to illuminate the emergence, place and endurance of pilgrimage as a form of religious behaviour. CV to Troels Myrup Kristensen by 1 October 2016. The organizers will review proposals and respond by mid-October. Accepted speakers will be given 30 minutes for their presentations, followed by 15 minutes of discussion. Accommodation, lunches during the symposium, and conference dinner will be funded by the organizers. Speakers will need to provide their own transportation to Aarhus. Following the conference, speakers will be invited to contribute to a dynamically-structured, dialogic volume based on the symposium, to be published as part of the Aarhus Studies in Mediterranean Antiquity series (Aarhus University Press). Simon ColemanChancellor Jackman Professor of Religion and Anthropology, University of Toronto, Canada. Nicholas Purcell, Camden Professor of Ancient History, University of Oxford, UK. Ian Rutherford, Professor of Greek, University of Reading, UK. Organisers: Troels Myrup Kristensen (tmkATcas.au.dk) and Anna Collar (klaacollarAT cas.au.dk), both Department of History and Classical Studies, Aarhus University.